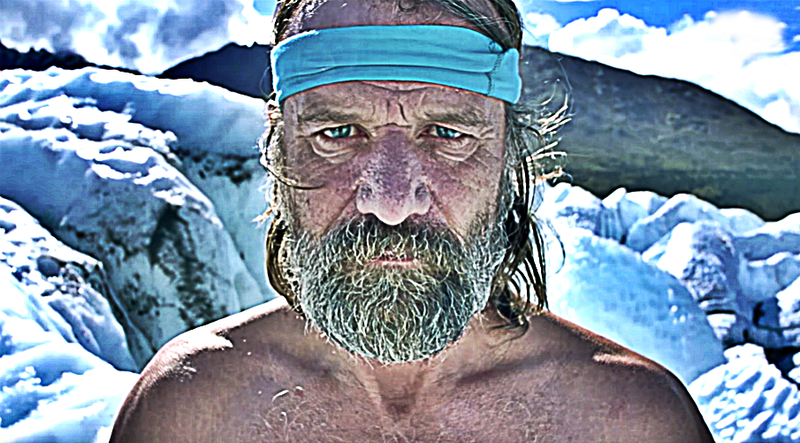 Wim Hof is a famous name today. Most of us have heard about the “Iceman” who ran a half marathon above the arctic circle wearing nothing but shorts. But his life story and philosophy are, in my opinion, the true place from where his superhuman title arises. The ability to handle extreme cold for long periods of time is extraordinary. But even more extraordinary is how he coped with his wife’s suicide and used his uniqueness to heal. The cold, for him, was always a place where he connected with nature. It was ironically, something that gave him warmth. So when his wife died, he was left with a hole within him. The only way he could cope was to go in nature. So he did. He used the cold to find warmth and heal the hole within him. And as he did, he caught the public’s eye attention. And that’s how he became the “Iceman” known today. And scientists are confused with his abilities. They look at his extraordinary achievements and do experiments and cannot believe that what he does can be done. So they think that this man’s abilities can revolutionize modern medicine and benefit the world. We all have pain within us. We all have inner wounds that we try to avoid. But avoiding our inner wounds will not make them go away nor heal them. We all also have a super within us. A uniqueness that only we can wield. And this uniqueness can become our superpower if we stop listening to what others say and use it. Most of the time, our unused uniqueness becomes our greatest flaw. That’s why, if you don’t know what your super might be, look at your greatest flaw, it’s somewhere there. And if we use our uniqueness while embracing our inner wounds we will be transformed. Through our super we will become Superhuman. If we use the rage of our pain while embracing it fully, and power our uniqueness with it while surrendering to its control, our uniqueness will be what actually heals our wound. And it will not just heal the wound, but it will transmute the pain into power and, paradoxically, we will gain full control over our uniqueness. When you put your pain and uniqueness together, and surrender, they will merge and become something else. They become phenomenal art, a scientific wonder, a superpower. And through this super you transform into a Superhuman and unlock your real potential. You become a person who inspires other human beings to face their fears, to look at their inner wounds, to use their pain and uniqueness, and evolve.